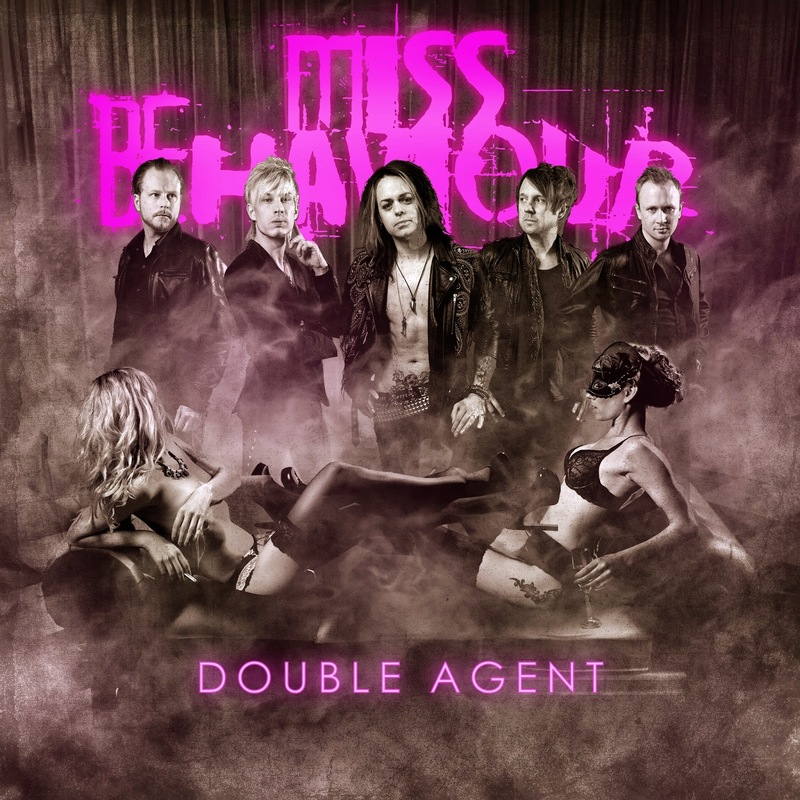 Rock & Metal 4 You: CD-Review: Miss Behaviour - "Double Agent"
Sweden is always good for a surprise. 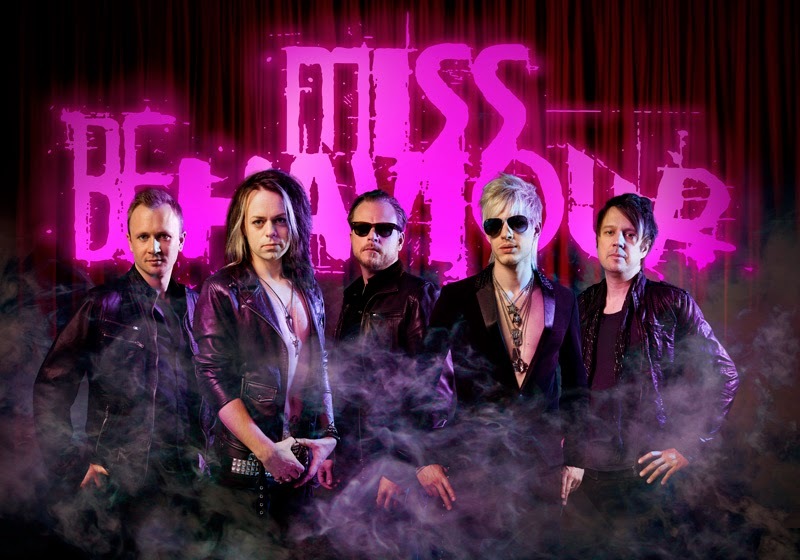 I didn't had the Swedish Melodic Rockers Miss Behaviour on my radar this year. I know their previous record "Last Woman Standing" and had very mixed feelings about it. On the one hand well crafted melodic rock tunes and on the other one just standard fare off the shelf. And now these five guys come along with their new record "Double Agent" on August 29th and one thing is for sure: this album is essential! I don't know how they did it, but the band eliminated every problem I had with "Last Woman Standing" and increased everything - songwiritng, hooks, performance. On "Double Agent" you find easily five of the best songs that were written in the melodic rock genre this year so far. Period! The ultra catchy title track (which reminds me at the Italian colleagues of Wheels Of Fire - just better) is a gem and also the following "Cold Response" is an AOR jewel, that transports the typical 80's mood, that is so important for this genre, in a perfect way. I can't help myself, but this album reminds me very often at the first Slaughter album when it comes to melodies and you know this one is a classic. Need an example? Then check out "Corporation Arms" that comes along with huge harmonies and another over the top chorus. The next highlight comes with "Love Reflector". This one was a little grower. By the way - there are some songs that need to grow on you, like the following "Edge Of The World" that sounds a bit more modern with a darker approach, but after listening to it for a while it is definitely one of the strongest tracks on this album. "Don't Let It End" is the next in-your-face-earworm. This tune is one of those that jumps in your ear and you just can't forget it. Great! If you need goosebumps I can recommend you the ballad "Silver Rain", which has a great atmosphere without sounding slushy. So are there any fillers in sight? Not really - all songs are good ones and deserve it to be on this album, but of course there are some tracks that can't reach the high level of the ones I mentioned above. The opener "On With The Show" is such a track. It's a solid song, but all in all one of the weaker tracks on this album. Same goes to "Magical Feeling" and "Dancing With Danger" - those songs are a bit generic. Easy to listen to, but nothing that would blow me away. And then there is an eight-minute epic called "The Cause Of Liberty", which is simply too long. It's hard to keep the tension in the melodic rock genre within such a long track, because there is not much variety. The spectrum of AOR and melodic rock seems to be very limited. A Symphonic Metal track which is over 10 minutes long has much more to offer musical wise, but in AOR this is a hard thing to do and this is the problem I have with this particular track. Soundwise Miss Behaviour make use of those typical 80's synthies very much, but they are never distracting. Soaring guitar solos and a very good vocal performance by singer Sebastian Roos round up the package of a very enjoyable Melodic Rock record. The production could be a bit more punchy and edgy at times. but the overall impression is very good. So who should buy "Double Agent"? Every lover of 80's rock for sure and all people who love impressive melodies and harmonies. This album has a few gems to offer combined with a tight presentation and it's worth every penny, so watch out for it! If Miss Behaviour continue this way I'm pretty sure they'll record a future classic next time.